Today Paybefore reveals the winners in 2014 Paybefore Awards Europe. The third annual competition proved fierce throughout all 10 categories—the most ever—which included Top of Wallet, Market Mover and The One to Watch. This year, awards judges created the category Best Problem Solver, which recognizes winning programs using prepaid as an elegant solution to a significant problem. Entries across categories represented programs from the U.K., Turkey, Austria, France, Germany, Portugal, Poland, Hungary, Italy and more. Paybefore CEO Marilyn Bochicchio added, “It’s an exciting time in payments everywhere in the world, but this year’s Paybefore Awards Europe winners demonstrate how quickly prepaid and mobile solutions are replacing legacy paper-based systems. Paybefore Awards is thrilled to recognize the organizations that are taking on paper in its many forms—not just cash—to improve business, government and consumers’ lives.” Paybefore Awards Europe’s distinguished winners were selected by a five-judge panel comprised of Dr. Hugo Godschalk, PaySys Consultancy GmbH, managing director/partner, and Prepaid Forum Deutschland founder; Craig James, Neopay CEO and director of Prepaid International Forum; Siobhan Moore, associate, Locke Lord; and Paybefore’s Bochicchio and DeBonis. 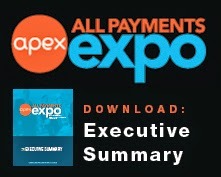 Today’s winners now compete for the Best-in-Category distinction, which will be announced during a presentation at the All Payments Expo Europe in Marbella, Spain, on 19-21 May 2014. Before and during APEX Europe, visitors to Paybefore.com will be able to vote for one People’s Choice winner. Stay tuned for more details coming soon at Paybefore.com. Congratulations to all our winners! 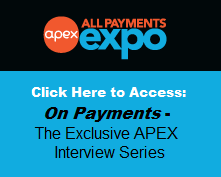 Join us at APEX Europe to see who wins Best-in-Category! See you May 19-21 in Marbella, Spain!